We’re working on a lot of Keystones including a very special chopsticks braced one. We’ve just added the finish on the interiors of this set and we’ll be closing them up this week. 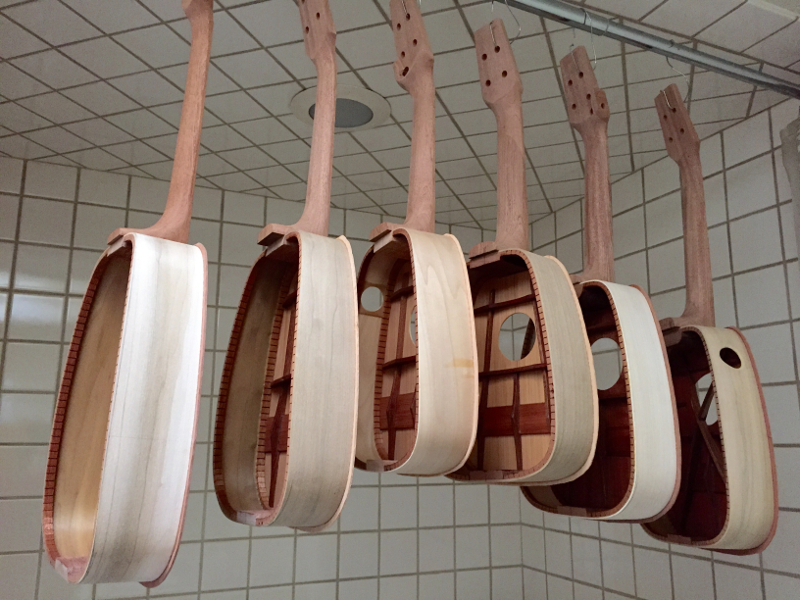 We’ve added this step of finishing the insides to increase the weatherproofing of our ukuleles. Thin woods and moisture just don’t get along.